Today’s d*inspiration comes from episode 12 of SBS’ drama Pinocchio. In this episode, Yoo Rae pulls off an effortless but chic winter style with a khaki green parka matched with skinny black jeans. Yoo Rae still appears cute and young because of the puffy green parka, hairdo, and backpack. 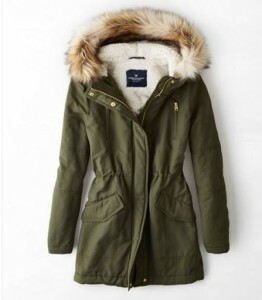 For those wanting to sport a younger look without going overboard with the hair, this is an easy outfit to achieve since you can pile on the layers and still look cute when you throw on the parka. The cute effect is emphasized by the I-WORE-TONS-OF-LAYERS-BECAUSE-IT’S-FREEZING top heavy look. It seems that the fur trim on jackets/parkas is trending this year in Korean fashion. This look is best for the days that you just want to throw on a tunic + sweater before donning the jacket…Or if you will be outside a lot. Finish with an oversized scarf and your favorite boots. 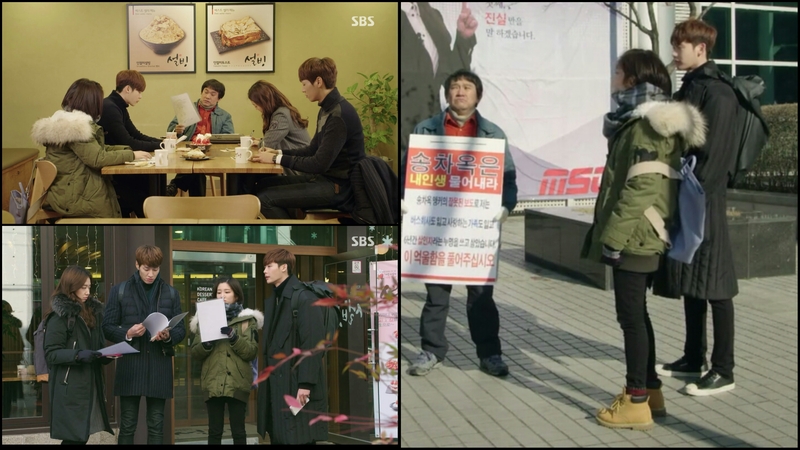 Yoo Rae’s outfit for this episode was sponsored by various Korean companies. Yoo Rae’s khaki/green parka is from V+EL, the Korean fashion company V+EL, which seems to be a project or a sub-company of Voice of Voices. 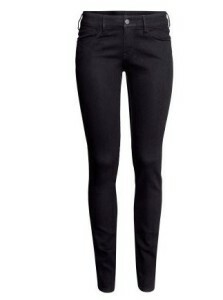 Voice of Voices is known for modern street fashion and is mainly sold within South Korea in their malls. 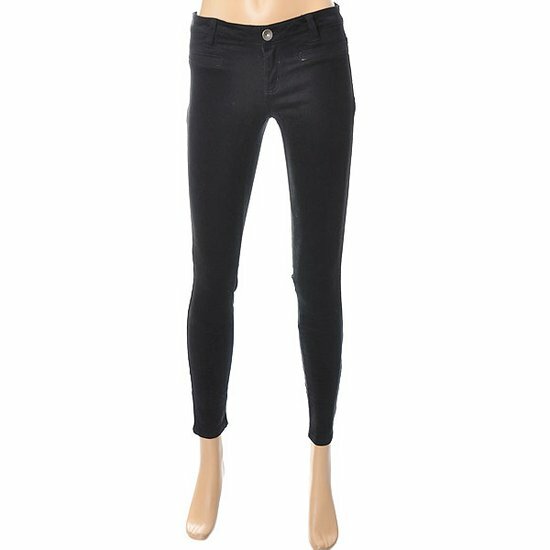 Yoo Rae’s black skinny jeans were from Jack & Jill a/k/a J&J, which is a contemporary Korean fashion company with mainly a domestic distribution. Their motto is that their clothes are urban street casual. Since it’s difficult to navigate a lot of Korean sites, I found similar pieces on English websites. I think you can pull off this look with similar pieces from your own closet, because who doesn’t have a pair of black skinny jeans? I still wear my 7 for Mankind pair that I bought from the outlet years ago ^^ However, I do find these Michael Kors ones quite tempting… Nevertheless, one can always get black skinny jeans for as cheap as $10.00 from stores like H&M.